FABBS has released two more videos in its “Cognitive Psychology in the Real World” series. These videos provide examples of how cognitive science keeps us safe and healthy in our daily lives. One of the new videos is “Can Cognitive Science Help Detect Cancer?” which explains how the science of visual attention used in conjunction with computer-aided technologies help radiologists detect breast cancer. 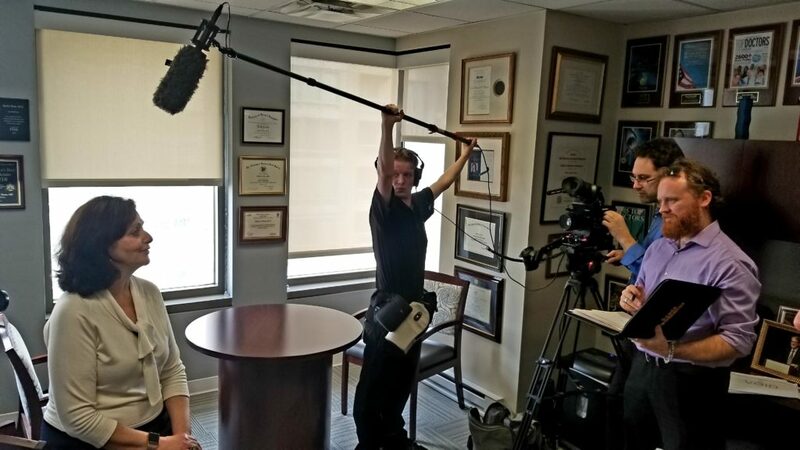 The video features Rachel Brem, MD, Director of Breast Imaging and Intervention as well as a Professor of Radiology at The George Washington University Medical Center. The video “Can Cognitive Science Help with Stroke Recovery?” discusses how occupational therapy looks to cognitive science to improve rehabilitation treatment such as user interaction with technology. For this video, we visited the National Rehabilitation Hospital, and also spoke with Rahsaan Holley, PhD, a research occupational therapist. Dr. Brem speaking about the difficulties faced by radiologists.